At 14, Angie is the adult in the family. Her sister Sophie is on the more severe end of the autism spectrum and is completely non-verbal. Her mother does her best but often ends up relying on Angie to fill in the many gaps. They are fighting to stay a family but have been kicked out of every house they’ve lived in and their last chance is a distant relative they barely know. It’s not a home, but at least it’s not homeless. While there Sophie forms a connection with their curmudgeonly neighbor’s dog. A massive Great Dane. For the first time in years Sophie has settled down, when she is with the dog she is content and happy. But the neighbor is retiring and moving to the country, and they don’t know how they will cope when he takes the dog away from them. Some books are just beautiful and this is one of them. I loved everything about it. Except perhaps the ending. I wanted a little more. I wanted to know how things turned out for them all. I wanted to know how life with this family was going a year down the track. If you love dogs, if you love books that are life affirming, honestly if you just enjoy good books, this one is worth reading. 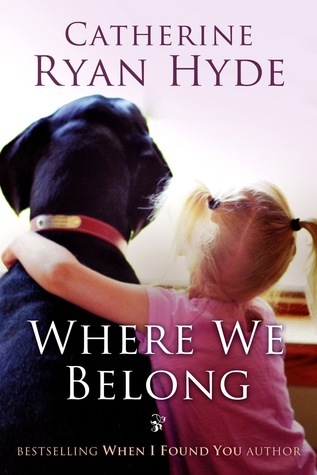 This entry was posted in Uncategorized and tagged autism, catherine ryan hyde, dog, great dane, women's fiction by setaian. Bookmark the permalink.